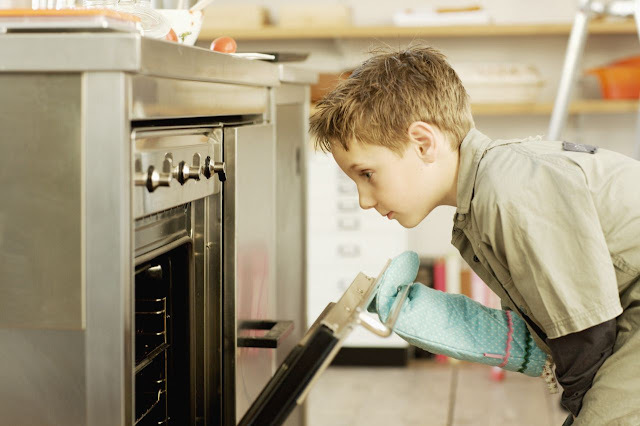 Importance of kitchen safety for children is a matter that you should never take lightly. These 5 tips for keeping your kids safe in the kitchen prevent accidents. Because the kitchen is a place where you work with boiling liquid and sharp knives! How else would you prepare delicious food, right? Why is kitchen safety important? Well, I’m sure you know the answer to that. So it’s time to get to know how to keep your children safe in there. Wearing shoes at home might not sound so appealing to some. But it’s the safest thing to do in the kitchen. Shoes provide your feet with the much-needed traction. And this is useful in case of spills. So make sure that your kids have shoes on when in the kitchen. They protect their feet from unwanted spills and accidents. The chances of dropping a knife on the foot are also quite high at the time of cooking. And such a tragedy often results in severed toe or stitches. All the more reason to add a protective layer in the form of sturdy shoes! As for safety clothing, avoid wearing flowy garments and long sleeves. Along the same line, don’t opt for anything that’s flammable either. Materials such as synthetic tend to melt onto the skin when on fire. With that in mind, please make sure that you have a handy fire extinguisher in the kitchen. Show your kid where it is and how to use it. Keeping oven mitts and hot pads at your disposal in the kitchen is necessary. So teach your kids to use these even when touching any bowl, pan, pot or hot coffee maker. That has spent time on the stove or in the microwave. More often than not, you forget to pull dishes out of your oven without wearing mitts. But when the kid is a part of the activity, it’s important that you use those hot pads. So he/she sees and learns the safe thing to do. Even in the case of microwave-friendly bowls. As they too tend to become quite hot. 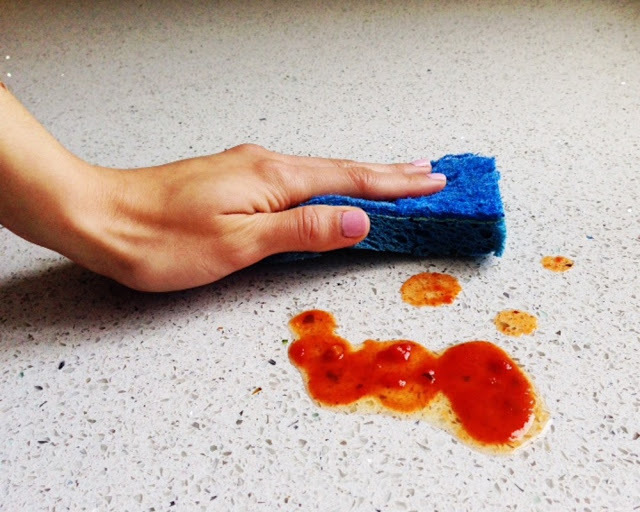 Getting rid of spills immediately helps in saving time at the end of cooking. So when you’re finally cleaning up the kitchen, you won’t take too long. Grease, food, and water fallen on that floor increase the likelihood of slipping. And you don’t want your kid to fall and get hurt now, do you? Also, keep spills in mind when using cooking sprays. Here’s the safest way to use such items. Hold the cooking pan over your sink at the time of spraying. This way no liquid touches the ground. Hot burner, boiling liquid, and steam have a lot in common. Don’t forget that, and make sure your child doesn’t either. 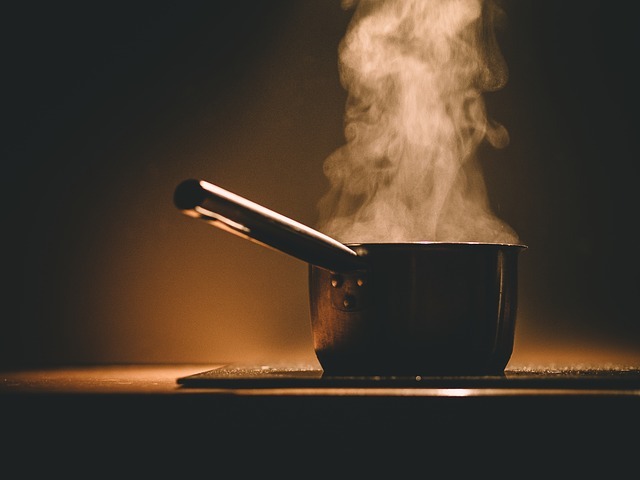 Lifting the lid of the boiling pot causes steam to rise instantly. So avoid pulling that cover away from your body. This often causes steam burns on the hand. Even microwaved foods produce steam. So teach your kid to open the package away from his/her face. And with either hot pads or oven mitts! Boiling liquid in the kitchen is common. So kitchen safety for toddlers does require you to stir using the proper technique. When not careful during stirring, the bubbling water can hit the hand. And the shock from this causes anyone to jerk that hand, which might send a potful or spoonful of hot water flying. When such hot liquid comes in contact with your skin, severe burns are inevitable. 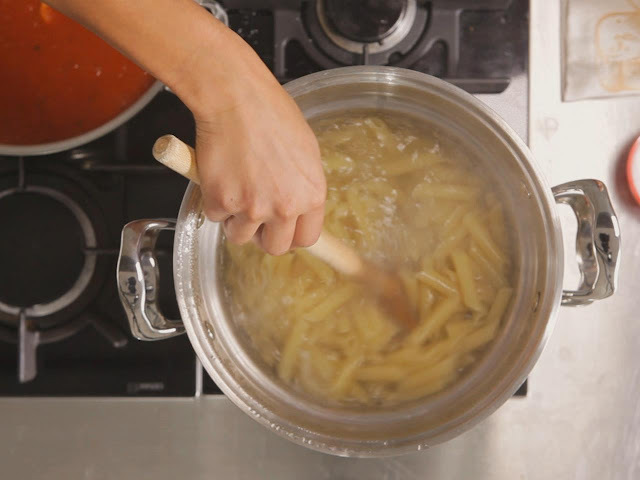 So to prevent these accidents from taking place, stir using the slotted spoon. And ensure that the pot is not facing toward you. This particular technique is counterintuitive. However, it makes sure that the hot water doesn’t splash in your direction. Even if you make sudden movements! 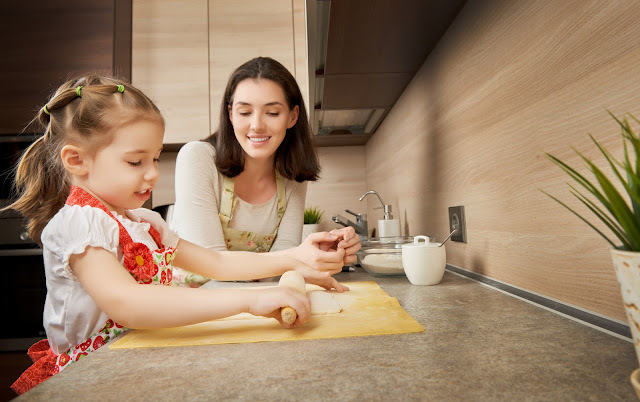 If buying the best touchless kitchen faucet is important to you with children around, then these 5 tips for keeping your kids safe in the kitchen should be essential. The former might be a luxury but the latter is a necessity. How about you share your thoughts with us now? Scroll down to get to the comments section and drop in your feedback. Useful advice always goes a long way. About the author:Jennifer Kessler founded She Loves Best as a result of being clueless during her first pregnancy and motherhood experience. Her only aim is to create a useful and fun parenting resource. That others can rely on and learn from. She works hard to construct articles that women and new moms can find relatable. So expect a personal style of writing with a touch of professional tone.